Located in St. Louis County real estate, homes for sale in Sunset Hills MO are centrally located and provide excellent access to the St. Louis Metro area. Sunset Hills is considered an established suburban residential community. 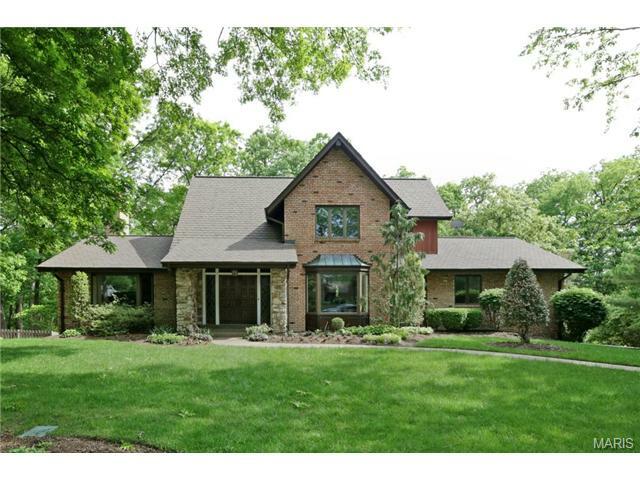 Sunset Hills MO Real Estate and Sunset Hills MO properties are a perfect addition to the St. Louis Real Estate market. Sunset Hills real estate is made up primarily of well-established homes. Homes for sale in Sunset Hills MO range in price from about 100,000 to $1,000,000. The median home price in 2014 was approximately $500,000. Residents of Sunset Hills enjoy a community center that offers facility rentals, a gymnasium for social or individual events along with fitness and wellness classes. School district; both proudly carry a AAA rating of excellence. There is also a selection of private schools in the area. See Great Schools for up to date ranking on every school in the area. If you are looking for a home for sale in Sunset Hills MO or you would be interested in buying a home in Sunset Hills, please contact St Louis County real estate expert, Sharon Colona and St. Louis Realty for a professional and simple buying or selling process. Call (636) 397-7653 or email at scolona@stlouisrealty.net. Welcome home to this classic beauty perfectly blended in natural surroundings. Located in the Lindbergh School District close to major hwy's, Powder Valley and other attractions. This custom-built home offers timeless characteristics buyers will love! Charming curb appeal moves you inside to light-filled spaces designed for entertaining! The spacious eat-in kitchen is a culinary delight featuring cherry cabinets, granite counters, planning desk and wet bar. Enjoy the seasons from the great room, deck, or cozy sun room. The main floor also offers formal dining and sitting rooms, laundry rm and huge master bedroom with walk-in closets and an impressive en-suite bathroom! Upstairs 3 generously sized bedrooms w/convenient Jack n Jill bathroom and another full bath. The expansive walk-out LL adds to 5,000+ finished sq. ft. to include 3 more bed/rooms, rec room, full bath and tons of storage space! Vaulted ceilings, 2 fireplaces, in-ground sprinklers, and 3-car garage round out the package! Motivated Seller Says..Bring Us an Offer! Summer is almost here & the pool is READY TO GO! Sprawling ranch on a gorgeous lot, filled w/the finest amenities. The inviting open floor plan leads you into the dining rm & great rm w/built-ins, gas frplc & butler's pantry for entertaining convenience. The upscale kitchen boasts a center island, granite counters, 42 x201D; cabinetry, state-of-the-art appliances, & breakfast rm. French doors lead into the light-filled, Four Seasons rm w/sliding door to the pool area. The main flr laundry center has a convenient full bath & opens to the pool. The master bdrm offers custom walk-in closet, & luxury bath w/Jacuzzi tub, shower & double sink vanity. There are two additional bedrooms that share a Jack n x2019; Jill bath plus a hall bath. The finished, w/o lower level features a rec rm w/pool table, built-in shelving, wet bar, half bath, & private office. Entertaining is a breeze w/an extraordinary in-ground pool & amazing landscaping. This home has everything! Completely renovated & impeccably maintained villa located in prestigious Sunset Hills. The 3,206 sq.ft. floor plan is filled w/upscale, designer finishes throughout. Inviting entry opens to the formal living & dining room. The kitchen is filled w/the finest amenities; granite counters, center island w/breakfast bar, 42 x201D; custom cabinets, innovated appliances, & corner wet bar. The adjoining family room has vaulted ceiling, wall of windows, & gas fireplace. Main floor laundry is a plus! The master suite offers coffered ceiling, a walk-in closet & an additional double closet. The spa-like bath features skylight, marble flooring, over-sized soaking tub, double sink marble top vanity, & glass surround shower. The 2nd bedroom suite offers a triple closet & private bath. The finished lower level is the place to be; 2nd family room, office/3rd bedroom, bath, & plenty of storage. There is a private, fenced patio & landscaped to perfection. No detail was left untouched; all it needs is you! Welcome to a Beautiful Custom Built Sunset Hills Ranch in Desirable Park Haven Estates+ Lindbergh Schools! Everything you've been waiting for: 3 Bedrooms, 3 Full Bath Ranch w/Open Floor Plan, Hardwood Floors, New Plantation Shutters & New Lighting throughout Main Floor, Updated Bathrooms, Gorgeous Kitchen w/ Newer Cabinetry, Expansive Granite Counters, Stainless Appliances & Main Floor Laundry! Perfect for Entertaining, the Great Room is Open to Kitchen w/ Soaring Vaulted Ceilings, Gas Masonry Fireplace & EZ access out to the Expansive Composite Deck w/ Pergola overlooking your pretty backyard! The Finished Walk-out Lower Level has a Large Family Room, Full Bath, 2nd Gas Fireplace, Wet Bar & Tons of Storage! It Walks Out to Sunny Backyard w/ Extensive Landscaping! The wonderful Main Floor Master Suite is large & inviting w/ Hardwood Floors, Sunny Windows, Large Walk In Closet, Luxurious Bathroom w/ Double Sinks, Tiled Shower & Whirlpool for Relaxing! New Roof! xD; xA;This Gem will not last! Situated in well-established Windsor Springs on a corner lot, this 2-story 4Bdrm, 2.5Bath Colonial has over 2300 SQF, center hall floor plan w/both a formal Living room & Dining room. Appointments in the Dining room include wainscoting/crown moldings w/swinging door leading into fabulous updated Kitchen. The updated Kitchen has 42 x201D; cabinetry, some w/glass fronts, lazy Susan corner cabinet, all appliances & large, unique center island w/breakfast bar. Sliders lead out to flagstone patio/yard. Adjoining the Kitchen is an updated Powder Room. Enjoy the see-thru woodburning fireplace from Kitchen to Family Rm w/floor-to-ceiling brick fa xE7;ade. On 2nd floor you x2019;ll find the Master Suite, 2 closets & Master Bath w/shower. There are 3 additional bedrms & updated Hall Bath. There is a two-car side entry attached garage. This home has been lovingly cared for over the years with numerous improvements and is centrally located near hwys, schools, downtown Kirkwood & more. AHS home warranty included.